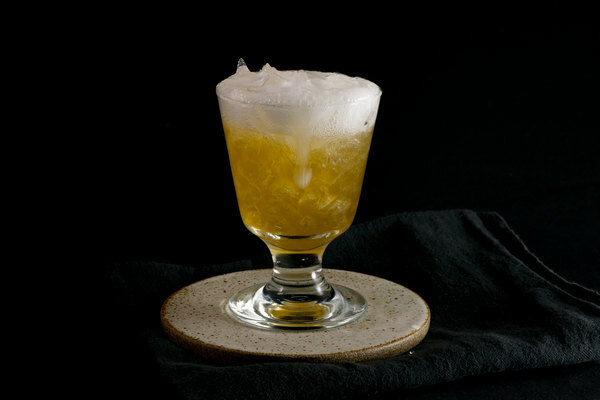 As far as decadent and creamy cocktails go, this impossible-to-google unit might be the merriest thing this side of a Baltimore Eggnog. 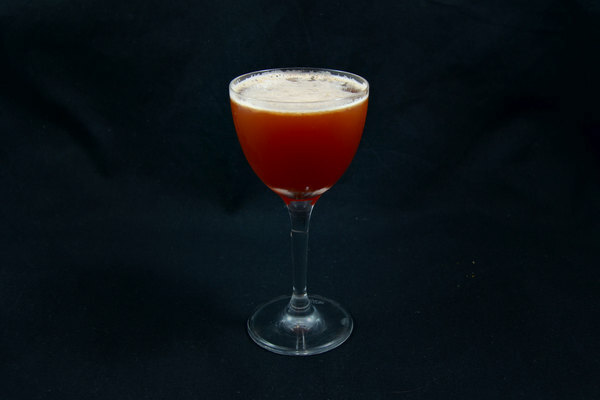 As an added bonus, the drink is nearly as old as they come: it was added to the 1887 edition of Jerry Thomas’ groundbreaking Bartender’s Manual. Though the book doesn’t say much about the recipe, it does note that the bizarre name likely came from the finished product’s appearance and not the use of coffee. 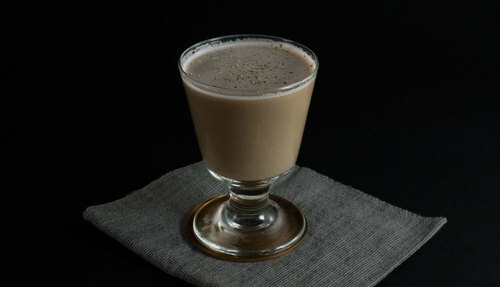 While its bland epithet isn’t exactly cafe friendly, don’t let that discourage you; this is one of the all-time great winter drinks, and will offer an excellent and educational substitute for aunties and uncles who would just die for a Kahlua and vodka. Like all good cocktails, the coffee is greater than the sum of its parts. The scent is fruity and caramelly, with spicy elements from the nutmeg. The sip is earthy, silky, and—despite having zero cacao-based ingredients—chocolatey. 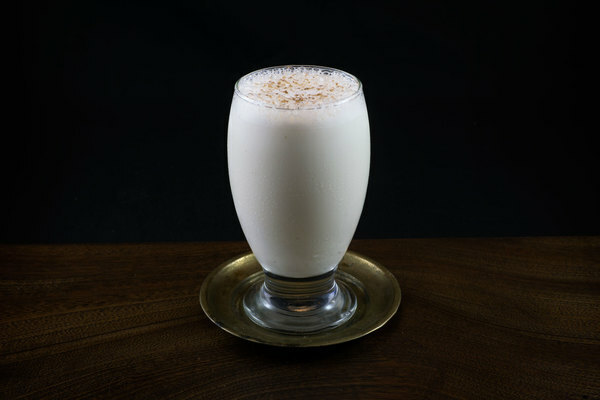 It has a malty quality reminiscent of drinks like the Ramos Gin Fizz and bourbon milk punch (unsurprisingly, this drink is rumored to be from New Orleans). It also shares an unrelenting yuletide fervor comparable with the excellent and equally ancient rum flip. This recipe is very good in its original form, and therefore does not need many alterations. Make sure to reach for a decent port; we use the Quinta Do Infantado tawny port with excellent results. While pre-ground nutmeg is always better than zero nutmeg, we especially like the freshly grated stuff. Egg freaks some people out. Don’t let that stop you from making this drink. Though they never smell quite as good, pasturized eggs from the box will work fine. The feathery smell will not make it past the nutmeg anyways.